Now if you've been following my posts over the last week or so you may have noticed that I appear to have become slightly obsessed with coffee glaze. The hilarious thing about it is, I don't even like coffee. I don't drink the stuff, I don't even really like the stuff! 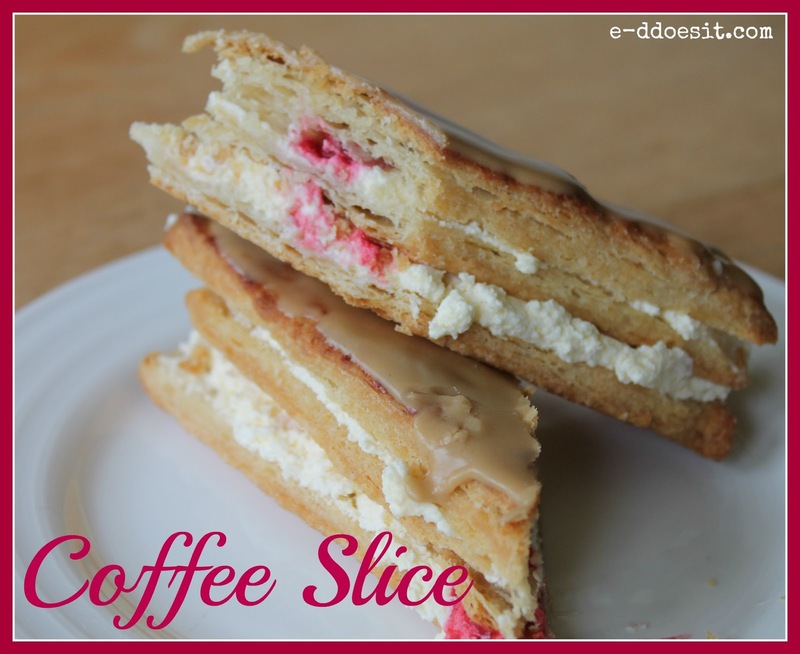 What I do love is coffee slices and this spans back to my childhood when we used to get 'sticky buns' as a treat for special occasions. We always loved coffee slices in our house and used to fight over the delicious layer of coffee glaze on top. I have been pondering a recipe to try and recreate this childhood memory for quite a while and this morning finally got up and smelt the coffee so to speak! Making puff pastry from scratch has always been a bit off putting to say the least. When I watch the food channels on TV most amateurs bawk at the thought of. So I approached it with my usual attitude of 'how hard can it be'. I am happy to report....not anything as hard as I thought it would be. People say it's not worth the effort and shop bought puff pastry is so much easier. I have to say that in the grand scheme of things puff pastry is a pleasure to make and tastes deliciously buttery when home-made. 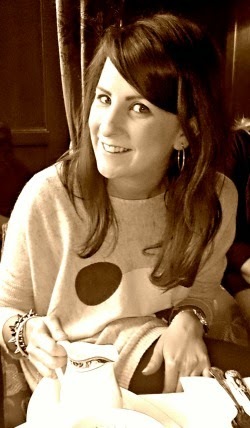 So if you haven't already, give it a go and I'm sure you'll be as perplexed as I am as to what all the fuss was about! coated. Next add the water and using a knife, bring the mixture together to form a lumpy dough. up and top third down as you did previously, the seal the sides by pushing down with your fingers. the fridge for a further 30 minutes to chill. transferring onto a wire rack after 5 minutes. Whip the cream until it forms soft peaks. Add 1 tablespoon of icing sugar and 2 drops of vanilla essence and mix in well. Defrost the raspberries and mash using a fork. Add two teaspoons of icing sugar and stir into the fruit. Using a sieve, strain the raspberries removing any bits or seeds. Place the butter, coffee and water in a heatproof bowl set over a pan of hot water until the butter melts (alternatively microwave the ingredients until the butter melts). Sieve the icing sugar into the mixture and bring together until a thick liquid glaze is created. Once cooled carefully cut each pastry slice in half. Start by smearing the cream onto a piece of pastry, then top with the raspberry coulis. Next take another layer of pastry and repeat the process. Then add a top and cover in the coffee glaze. Repeat the process for the remaining pieces of pastry. 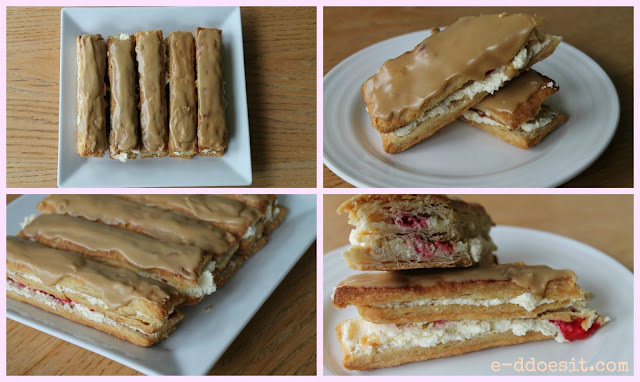 This recipe yields 6 coffee slices which are each made up of 3 layers of pastry, 2 layers of cream and raspberry coulis and a coffee glaze on top. A coffee slice is a variation of what is referred to in French as the mille-feuille which is a recipe that dates back to before the 19th century. From France to England, Ireland and many countries in between this style of cake has been tweaked and many countries refer to it as different things but the basis is the same. 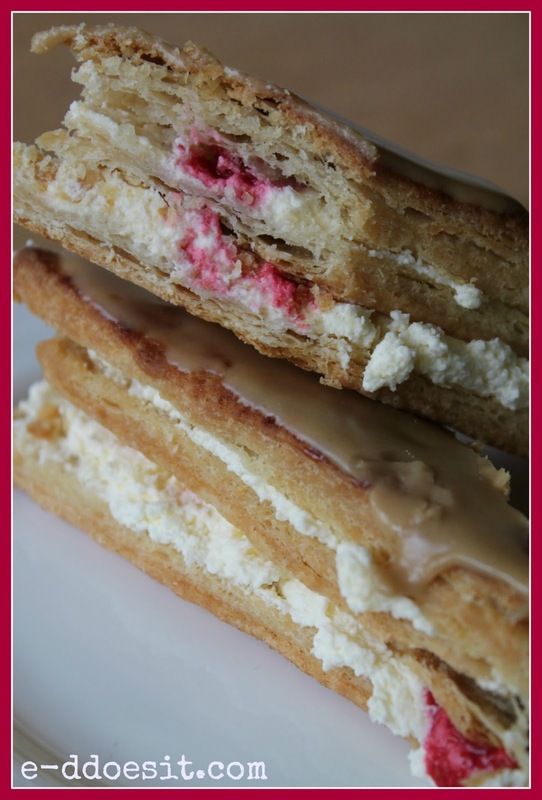 Three layers of puff pastry filled with a cream filling and often a fruit jam or coulis. MMMmmm..... those look delicious! I adore coffee cake but have never like the smell or taste of coffee. Oh wow, these look fantastic, Emma! Thanks so much for sharing on Marvelous Mondays. Pinning and sharing on my Facebook page! This looks wonderful with a cup of tea. Heehee, I don't like coffee either, but do like some things that have coffee in it. Thank you for sharing.